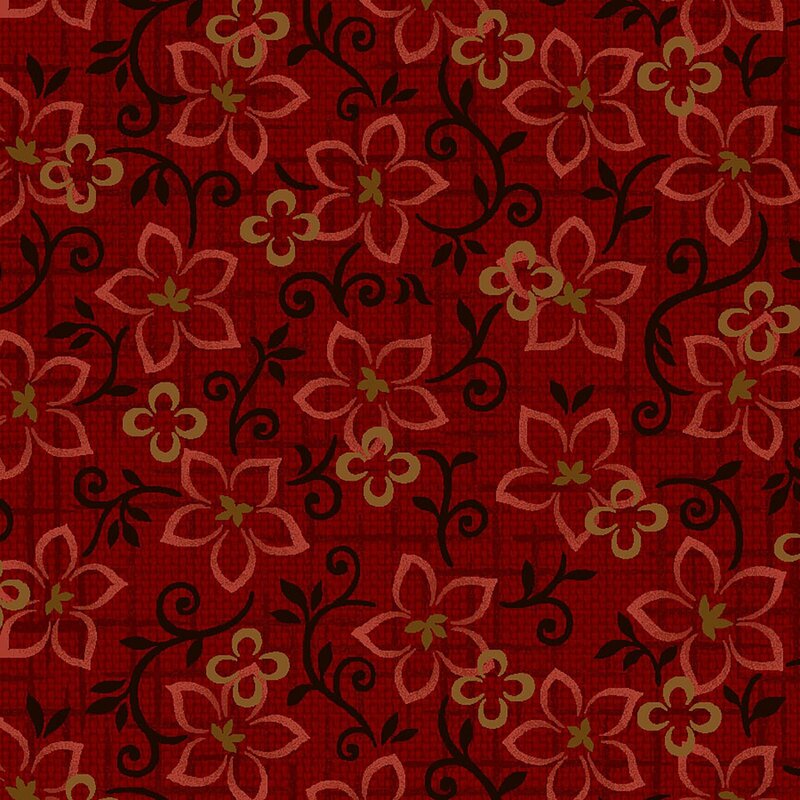 Deep dark delicious red fabric with flowers and vines in pre-cut HYC (half yard cuts). SEW gorgeous!! Flower Toss and Scroll Texture.